Outside the gallery: Drawing in black vinyl tape on sheetrock wall painted white. 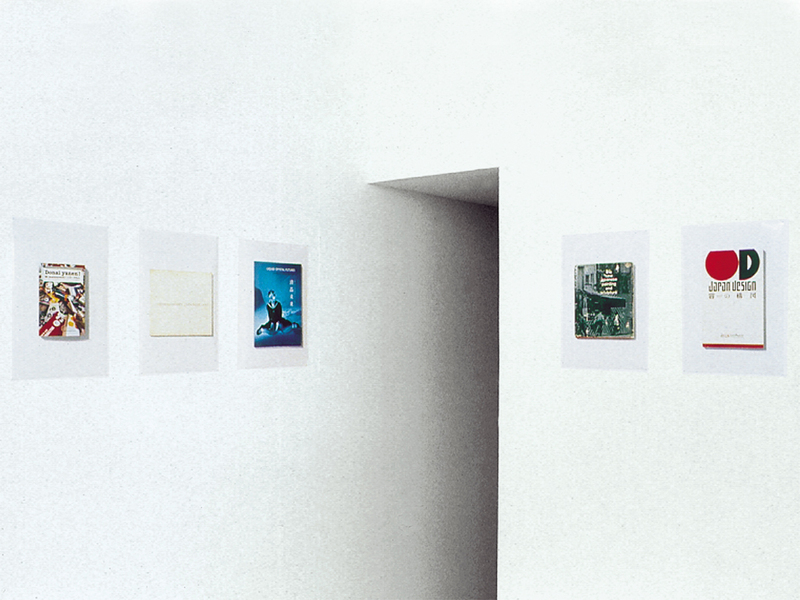 Inside: 20 C-prints, 45 x 30 cm [17 3/4 x 11 3/4 in.] each; computer presenting an interactive database. 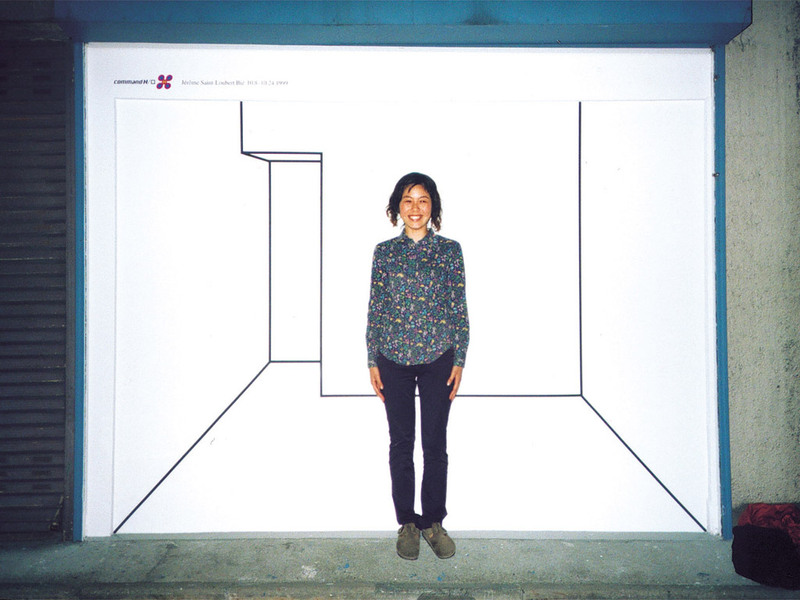 Installed in a former garage, the gallery’s street level access was blocked off by a white wall, on which a schematic perspective drawing represented the exhibition space within. 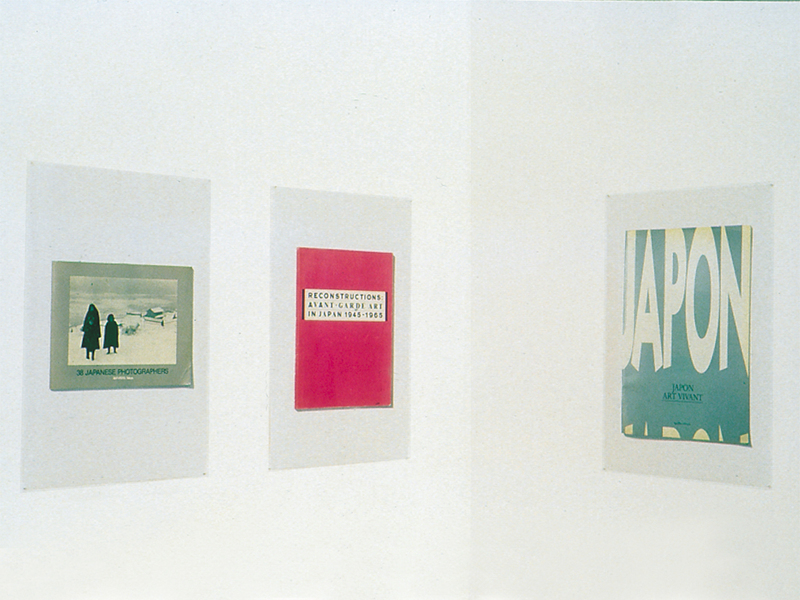 Inside the gallery, photographs printed life-size reproduced the covers of exhibition catalogs for group shows of Japanese art, photography, design, and architecture, organized outside Japan. 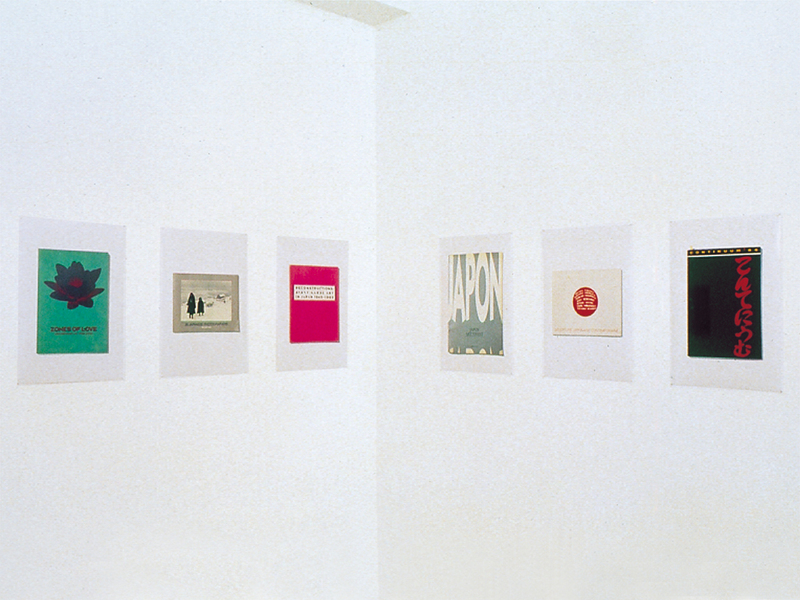 A computer in the gallery office gave access to a comprehensive database on exhibitions of Japanese art abroad.